Finally! "Flame of Recca - Final Burning", The title sounds very exciting, yes? The Flame of Recca series is good, and since the ending has left everyone so hung, seeing this title will surely make everyone want to watch it. This is labeled here as a special sequel to Flame of Recca, but well... it's not really special... So, sorry to break the excitement because it wasn't made well. This is the conclusion of Recca and company's story, with the dragons and the flames and the Hokage. Haven't read the manga yet so I have no idea what happened in between. The art is most frustrating here. I think that it's even poorer than the roughly animated TV episodes. The character designs and the colors were different and unattractive and the action is boring. Sounds were okay. So-so music with so-so voicing. The japanese audio really sounds much better than the animax english dub. No idea about the characters since I have no idea on how they developed in the manga so no comment on that. It's not really enjoyable, since the art isn't good and the events will make most viewers go "huh? 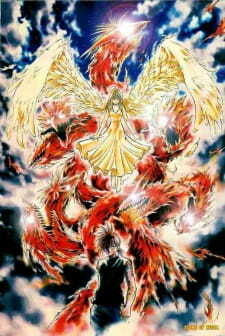 ", but it's still more serving of Flame Recca so it's alright to watch it. The Final Burning is the conclusion to the series, manga and the game. On reading, it was exciting and gripping beacuse of the suspense built up, but because the anime doesn't reach the very end, it jumped, missed out half the story and made no sense. The graphics were fairly good but the overal quality of the work was mediocre. The excitement of it coming out built up expectations that were not met. I gave it a fairly normal score because of the developement of the characters and that it was the final end of the story. I wouldn't recommened watching this again. I will first start off by saying: WARNING Do NOT watch this without at least briefly reading up on what happens after the end of the regular anime series, otherwise you may risk being confused as heck. Now...I've read the manga before checking this out but I can tell you now that it's a VERY faithful adaptation of the ending of the manga. Unfortunately that does not make it very successful as a standalone OAV, story/plot wise as you need to have read at least a couple chapters back to even remotely know what's going on. In that sense, this is more of a "teaser" for what/how it could have been animated if the tv series had continued until the end....and in that respect this is sadly nothing more than granting nostalgia for manga readers and just 'flashy sequences' for everyone else. Otherwise the art/sound/etc are on the same level as the tv series. tbh i thought there was going to be like 2-4 episodes to this OVA but realising that all they've done is turn the spoiler ending into an anime is quite disappointing. Although to be fair, music, art, sounds are very well produced some characters' depictions are just way off compared to the anime. disappointed with this short OVA Tokiya and Kaoru look so different you'd think they were new characters. The 42episode series of Flame of Recca was truly a masterpiece I'd have to say they shouldn't bother making an OVA if they're just gonna spoil it by only showing the ending.